What better way to show your mother that you love her too than with an impressive Mother’s Day Brunch Buffet at Vic’s? Celebrity Chef Vic Vegas grew up loving his mama and her authentic cooking, so he wasn’t about to let a special day go by without paying homage to mothers everywhere. The new American bistro boasts Vic’s creative take on both classic and modern dishes (with a hint of mama’s Italian roots), and is serving up dazzling views and delicious fare from high atop the hills in Anthem. 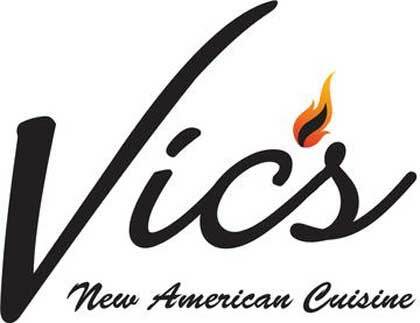 Bring mom to Vic’s on Sunday, May 12 between 10 a.m. and 2 p.m. for Vic’s special Mother’s Day Brunch Buffet featuring a made-to-order omelet station, seafood, salads, bacon and sausage, hash browns, fruit and pastries as well as a carving station with Coffee Crusted Tenderloin of Beef. In addition, Vic also offers his unique take on an amazing array of hot items including; French Toast with Berry Compote, Seared Scallops, Parsnip Puree, Potato Nest, Seared Chicken Breast and Fingerling Potato Confit with Broccolini. Beautifully situated in Anthem, NV., the distinctive location of Vic’s is set amongst spectacular rolling hills and awes guests with its stunning, unobstructed panoramic views of the Las Vegas Strip and surrounding valley.